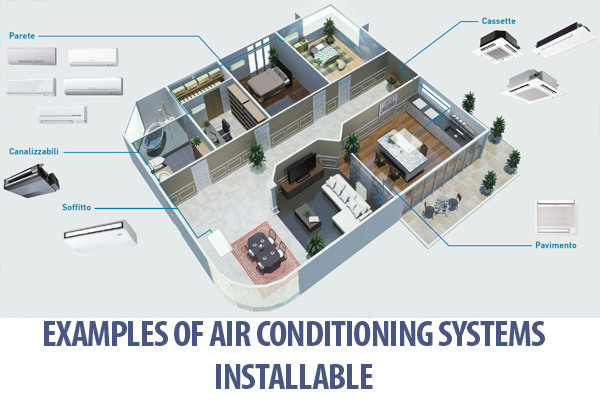 Since 1985 AIRCLIMA deals with the installation of air conditioning systems for your environments. 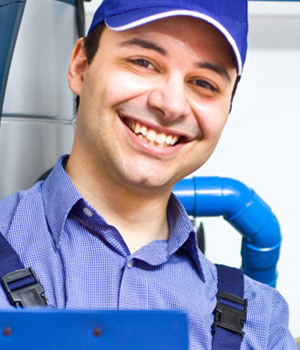 Our technicians will advise you in the selection of the air conditioning system ideal for your needs. From the air conditioner, installed only with the best Mitsubishi Electric products, to heat pumps heating, for a better management of heat sources; from gas boilers to VRF/VRV plant. AirClima installs different types of plants, find out what kind of plants in the page for installation service. 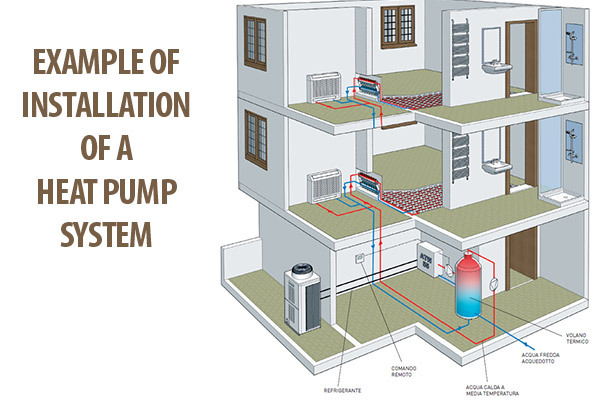 AirClima installs heat pump air-conditioning systems. This type of system allows you to achieve high efficiency in air conditioning during the summer, in heating during the winter and in the production of hot water, using external sources and reducing emissions. 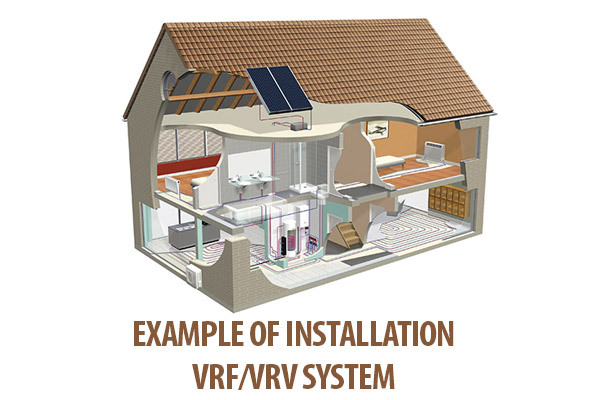 AirClima installs VRF/VRV systems that provide cooling and a dehumidified environment in the spring/summer and a slight warming in autumn/winter. The heat pumps technology is implemented by photovoltaic panels and the introduction of a system for generating hot water. AirClima is a professional installation company and Mitsubishi Electric partner. This guarantees you the workmanlike installation of an air conditioning system, using only certified, guaranteed and top quality products. Wall mounted air conditioners, floor standing air conditioners, ceiling air conditioners, ducted and cooling air conditioning systems. 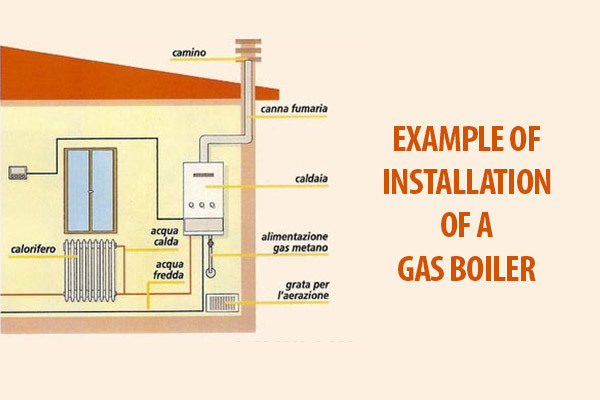 AirClima offers an installation service of gas-fired boilers for home heating and domestic hot water production. We install only gas boilers with high performances, guaranteeing maximum safety and efficiency during functioning. AirClima, climate control division of Elettrodomex Srl, based in Milan, is specialized for over 30 years in consulting, sales and installation services for air conditioning systems. At our office and showroom in Via Friuli 63 you will find only highly qualified and caring staff who will advise you about the best solution for your specific needs. Whether you are a private person or a company, we have all that can serve to satisfy your need for heat or cold. Try us. Do you need advice or a free inspection at your home, your office or your company? 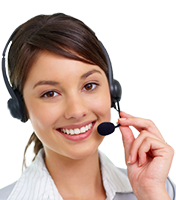 Our team of sales engineers is ready to listen to your needs and offer you a complete quote, without obligation. In addition to the installation of air conditioners, AirClima offers a variety of additional services. Where are we? We are available for on-the-spot investigation on Milan city area and province. 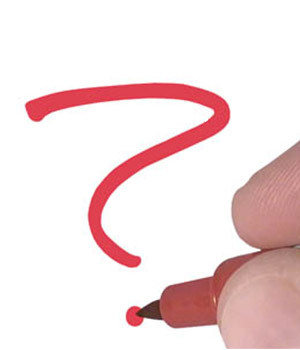 Write us to get more information about our services and products.